Facebook News Feed and Social Games: How to Manage the Spam? 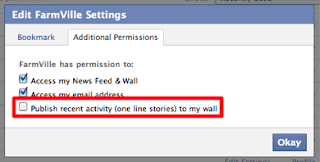 One of the most important things for a pleasant Facebook experience for you and your friends is knowing how to manage your Wall and News Feed, which I suspect is not something that a lot of Facebook users know how to do well. That’s why I decided to share some tips on how to deal with “spam” created by social applications and games like FarmVille and how to peacefully coexist with your friends whether you’re a social gamer or not. Let’s start with some tips for social gamers. Our favorite social games would like nothing more than let all of our friends know how much fun we’re having in the game. And while we appreciate the treasures our friends post to our News Feed, we also have friends who just don’t see the appeal of farm life and similar hobbies (yet!). So, what can you do if you want to keep sharing lost animals, eggs, fuel and what not with your game friends, but at the same time don’t want to spam your friends who hate the game? 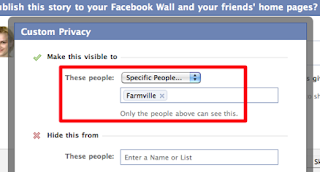 Yes, it does take some time to set up the list and manually manage all posts, but on the plus side you don’t have to bother your students, coworkers, clients or whoever with your FarmVille addiction (unless you want to) and you will avoid complaints about your FarmVille “spam” from friends, who haven’t yet discovered the magic Hide option in the News Feed (more about that in a minute). But don’t forget to check back on your game Friend List(s) once in a while to add your new game buddies or remove friends that have stopped playing the game. Another helpful thing you can do if you don’t want to see your profile Wall cluttered with various game updates, is to prevent games from publishing short stories on your wall. You can do that by choosing “Application Settings” from the “Account” menu (top right). Find your application on the list, click on “Edit Settings” and check the “Additional Permissions” tab in the box that opens. Bonus tip: don’t spam all your friends with game invites. Send invites only when you really think a certain person is going to enjoy the game or application you are playing. And don’t send various in-game gifts to friends that are not playing your game! Ok, and what can you do if you just can’t stand the spam your friends publish through various Facebook applications? Don’t worry, there’s no need to remove all your friends or quit Facebook; just make good use of the “Hide” button in your News Feed. hide all News Feed posts from a certain app. You can unhide friends/pages/applications by clicking on “Edit Options” link at the right bottom of your News Feed. And if you have a very insistent friend, who keeps sending you requests for an application you’re just not interested in (or if you’re trying to recover from a game addiction), don’t forget that you also have the option to completely Block an application. Just visit the application page and click on the block link to never see or receive anything from that application again. I hope these tips can help you enjoy Facebook more and prevent your game addictions get in the way of your friendships or even reputation :) If you have any other tips or suggestions, feel free to share them in the comments. And make sure to enjoy your games without spamming your friends!